Auralex SonoSuede Pro is a cost-effective complete do-it-yourself room treatment system ideal for the professional studio or any critical listening environment. The synthetic-suede fabric-covered panels provide the acoustical performance and visual impact critical for today's applications. The SonoSuede System's unique mounting blocks help you get the most out of your sound treatment by spacing the audio control panels off the wall. The resulting air gap dramatically improves low frequency absorption and also offers a multitude of decorative options. (4) S3CT SonoSuede Panels with mounting hardware. 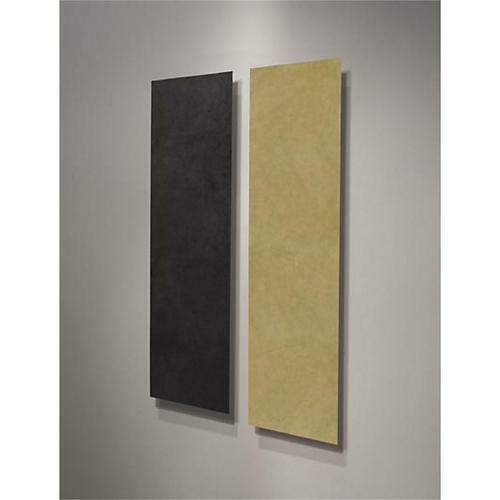 (8) S3PP SonoSuede Panels with mounting hardware. Size 16" x 48" x 2"
Size 16" x 48" x 1"